Mommies are always concerned about their kids, especially, a bit more when it comes to food. Even though we know something is good for their health, we have to think “how to make them eat that special food”. Green Gram is a package of nutrition which we can’t refuse and here are two recipes to make our kids eat the nutrition package at ease. These two are hit with my LITTLE MAN. Green gram gets boiled in less time which makes this recipe an instant one. 1. Boil green gram in pressure cooker by just adding water to sink the grams. 2. Cook it in medium flame for 10 minutes, you can check and boil again if needed. 4. Transfer the mixture to a bowl, add very little amount of cardamon powder, and the cutted nuts only if you wish to. 6. Make balls by taking small amount of mixture and binding it in your preferred size. That’s it. You are done. I used to give this as snack for my kid to school and he loves it. You can try the same with chick peas also and the taste will so good. But we have to soak it overnight and then boil it. Soak green gram in water for 4-5 hours. If you are going to do it for evening snack, you can soak it in the afternoon. 1. Take the soaked green gram in mixer draining the water, add finely chopped ginger, cumin seeds and salt for taste and grind it into a coarse mixture. 2. Take the grinded mixture in a bowl, add chopped onions, coriander leaves and mix well. 4. Heat oil in kadai, shallow fry it and serve it. Crispy Green gram vada is ready. *I didn’t add any spicy ingredients as my kid is not used to it. *Don’t overcook it considering that it is raw and not boiled, it will become hard. *You can do the same with chick peas by soaking it overnight. This will go as a wonderful evening snack for kids. Hope you all love this recipes. 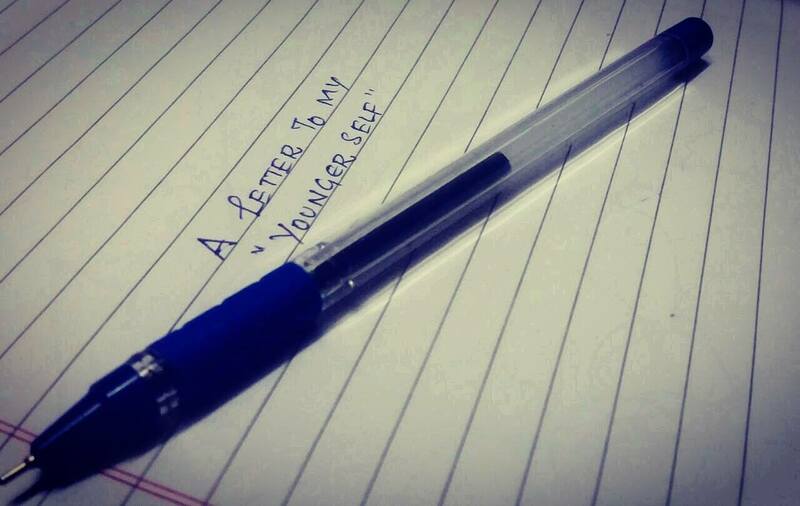 Looking forward for your suggestions. We are 40 bloggers here who are sharing some healthy and yummy recipes. I would like to thank Anubhuti Seth who blogs at CRIESNLAUGHTER and this blog train is leaving Sanguingirl’s station and will next halt at Divya Chawla’s blog station Daddystrongest . The station master Divya is a mother of 21 months baby boy, who is fond of Non vegetarian dishes ONLY, so you can look forward to a TEMPTING Non vegetarian recipe. Yes, you are my past, yet, I would like to give a tap on your shoulder, give a tight hug and say everything is going to be alright. Ha ha sounds funny right! Like every other girl you also dreamed of a fairy tale love story to happen after getting engaged but it is not true in your case. You are disappointed. You are emotionally abused which cannot be seen and noticed by everyone. You are criticized, judged for everything you do which have not happened at least once before getting engaged. You started struggling and you don’t know what to do, how to react on some instances. You are lost. The easy going, fun loving, talkative and most importantly decisive girl went missing. This got even worse after marriage. You never thought it would be so hard to adapt yourself with the new phase of your life. You felt that you are just used for the needs. You are afraid for being pointed out for your mistakes, for being a black fat lady which you are unaware as problems before marriage. You are confused and started feeling low about yourself and concluded that you are not good enough to cope with your newly wedded life. You wanted to discover the source of the problem but you can’t and I am still trying to find it. Some times you are forced to give in your self respect. You started longing for love. Not only you but your family also got into this mixed emotions and stresses without realizing that another shock wave is going to hit you next. A big business loss for your better half which doesn’t have any other chance to survive but to close it and to look for a job for further survival. You had come to know the reason behind the trauma causing behavior of your partner but you are not convinced to accept this given justification. Now you two started facing the criticisms together by the family members. Surprisingly, you decided to stand by him, support him, motivate him and pacify him whenever he felt low, even after knowing that he believed marrying you was an error because you wanted to prove him wrong. You never wanted to give up. I don’t know whether I will decide the same if it happens now. You missed those newly married privileges like family get together, romance, unplanned outings and so on. Then came the opportunity, a job offer in a non familiar country, the best and much needed, life changing chance in your life. With lots of hopes you flied to the country with him and never left a stone unturned, proved your ability. I would say that it is the best year of life till now and also this life’s blessing your tiny tenant started growing in you. Thanks for being so confident, staying strong and motivated woman in those tough times. I wish I could be the same now also as another stone is hitting now. On International woman’s day I take this opportunity to salute every woman who runs for her family everyday with optimism. I am so happy to be a part of this Women’s day blog party. I would like to thank Aishwarya for introducing me. She is a super mom of vedhu kutty. You can read her blog for this blog party here. Also I would be happy if you show some love to my friend Keerthana by heading to her blog here. Finally we found a place which would help me escape cooking after a long day of work. Ang’s Restaurant in Port Moresby, Papua New Guinea is a Chinese restaurant and it is famous for Duck roast. We don’t go to eat duck roast but to have Teh-tarik, the national drink of Malaysia. 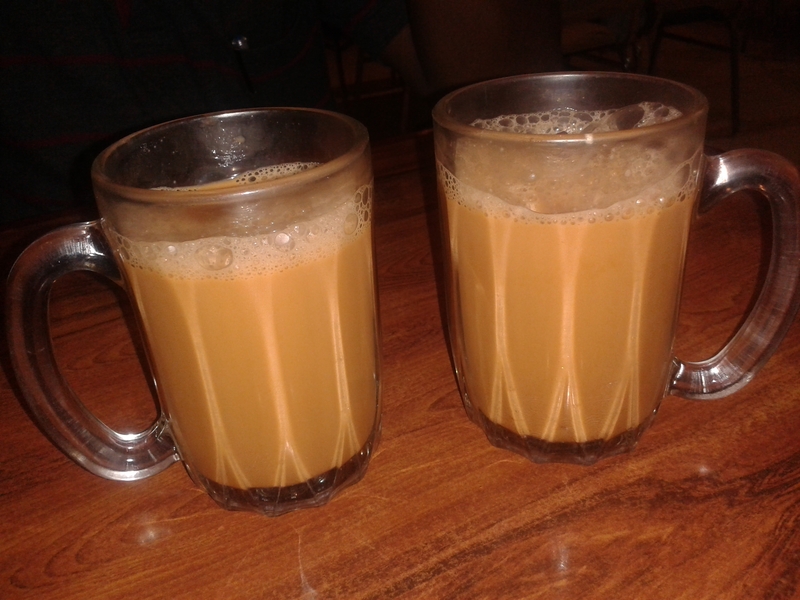 It should also be known for Teh-tarik, because we go often to the restaurant only to have this refreshing drink. People who serve food there became familiar with us and know that our order will be as usual Teh-tarik. As Papua New Guinea is very new and different for us we are not interested in trying any other food. But one day we thought of finishing our dinner, we ordered chicken rice and cooks there have added some extra spices to the rice to make it an Indian food. Wow!! The chicken rice taste was really good. Now our order list has Chicken rice with Teh-tarik. I felt bored to prepare everything in home everyday and we couldn’t find a suitable to go often. I can skip preparing dinner some days. I am relieved that we can go to Ang’s restaurant whenever we feel like going out and not to cook. After seven months we started going out to have food in this strange country and it is not a strange country anymore. Moon Walk is not about the famous dance step of Michael Jackson but about our walk together in full moon light so I named the blog as “Moon Walk”. 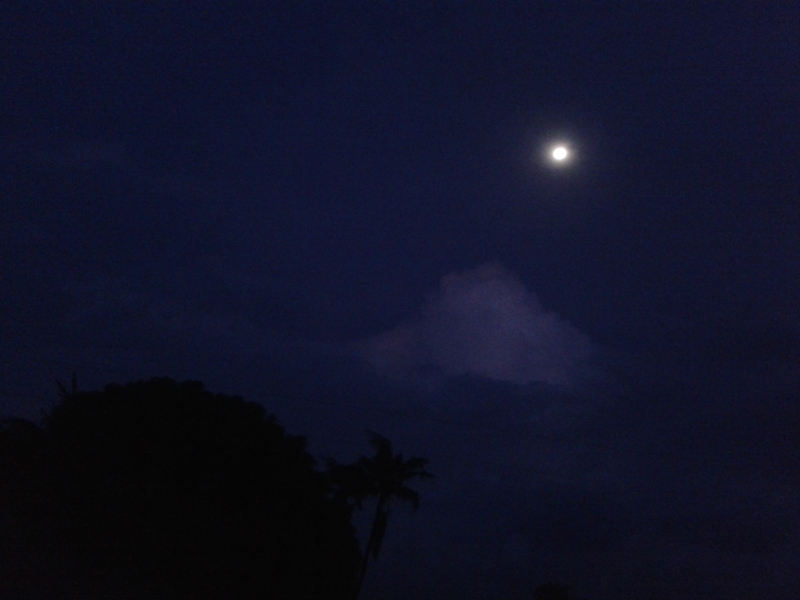 Full Moon night, lonely road, trees on both sides of the road me and my husband were walking along the road holding hands together. This might look filmy but it happened truly. Trees nodded and the light breeze touched our faces. I was playing melody songs from my mobile phones to add up some sugar to our romantic walk. Some people working for our company were saying ‘Good night’ and passing us in the road. We just enjoyed the nature, the melody music and our loneliness together. We spoke about our past, the insults we have faced and support for each other which brought us to Papua New Guinea a strange new country and future plans. Later, we started cracking jokes, criticizing each other in turn and our talk extended for a long time. I felt so happy that we spoke a lot from our heart without hesitation. We realized the love for each other. It was really a nice time together to burn the misunderstandings. A beautiful evening for both of us. Success mantra to break the break up is to find some time alone for each other, go out for dinner or walk, speak out from the bottom of your heart. Take things easy and be happy.. I was really surprised to hear him asking for coffee that too in the “afternoon” because the person who advises me not to have coffee or tea often is asking for ‘EXTRA Coffee’. 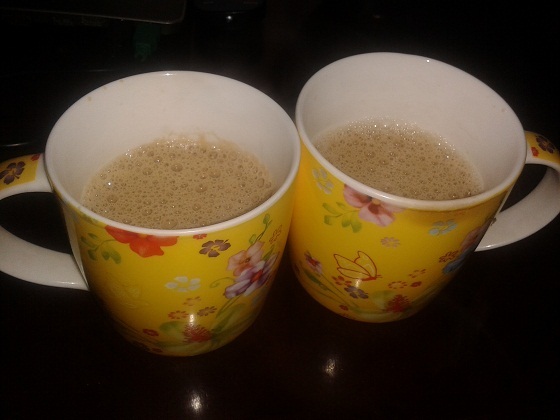 Without letting down the surprise I prepared a wonderful coffee. We both had it together and started cooking lunch energetically. It was really a romantic afternoon. This might look like exaggeration of a small thing but the coincidence out of the blue occurred brought lot of happiness. I hope this is the same for all wives. In India arranged marriage is the most common one where Parents are responsible to find the best boy for their daughter. Parents have to be very cautious in choosing the Groom because they can stay happy only if their girl is happy with the alliance. Make sure the status are same for both the families. Because if you prefer your daughter to get married to a rich man you have to match their expectations. Most of the time will be spent hearing their proud speeches about their richness. Even though they show out to be simple they will start blaming and demanding for even small things. So please choose a groom who is in your status. He can understand the situation of yours as well. Before deciding about Groom for your daughter meet in person the boys parents. If someone else goes there to speak on behalf of you, there is a chance for exaggeration. They can come and make one as two, tell you about Groom and Groom’s family so that you can trust and take a blind decision. Go to their home where they live, notice their behavior, habits and if everything is satisfied you can proceed further with the marriage alliance. Even though the bride and bride grooms family belong to the same community there seems to be differences in the traditions based on the city/town they live. Parents of the Bride and the Groom have to sit, speak and finalize what are the rituals going to take place in the Wedding Ceremony whole heartedly. It doesn’t mean that we have to totally avoid relatives but they have to know their limits. They should not take advantage of your situation and force you to go with the alliance which they suggest to be the best. Your daughter is going to lead the life and you are going to spend for the marriage expenses. So let them suggest you some things but don’t let them pull you towards them. Meet the boy in person, speak with him, you will be slightly able to judge his characteristics. Think and decide whether he will be perfect match for your daughter. You can also tell him your expectations. He should act as your son after marrying your girl. I think it is okay to ask whether he likes you ‘PARENTS OF THE GIRL’. After marriage if he doesn’t show interest in your family and hesitates to mingle with your family this will hurt your girl a lot. Please don’t let this happen for your girl. These five things I am sharing from my own experience. There may be some thing wrong and some more things to consider while choosing a Bride/Groom but consider these five also. Impact of words also depends on Emotional state Agree or Disagree ? It is true that words are very powerful but I would say that it also depends on the person who is in the hearing end. Words affect strongly when it is spoken harshly,jealously, when it sounds cruel, when it blames you for someone else and so many. How about a word of person affects another even after he or she knows that it is not intentionally spoken? A husband asks his wife to make prior arrangements for next days lunch. Wife thinks that her husband is not going to be with her for lunch and decides not to do any arrangements. She just says to her husband that “you will not be coming here”, she dint even finish her sentence and her husband dint hear what she is telling so she repeated the same “you will not be coming here”. Husband gets very upset and says that don’t say like that it sounds negative. Is it correct? Does the sentence sounds negative. Wife says that don’t make this big and you know that it is not intentional. Husband didn’t agree and replied that I am upset with your words and you should not speak such words which sounds negative, adds that in his family also they will scold for speaking words like this and warned her that she will get scolding if she do the same with her in-laws. Does the husbands thought about his wife’s words make any sense? Can this be encouraged? I would say that the mood of the guy created this negative impact of his wife’s words. If he is in a good mood he would have waited for his wife to speak fully or else he would have not get the negative impact from her words, he would have taken it easily. So Impact of words does not depend only on the person who speaks it also depends on the person who hears those words.